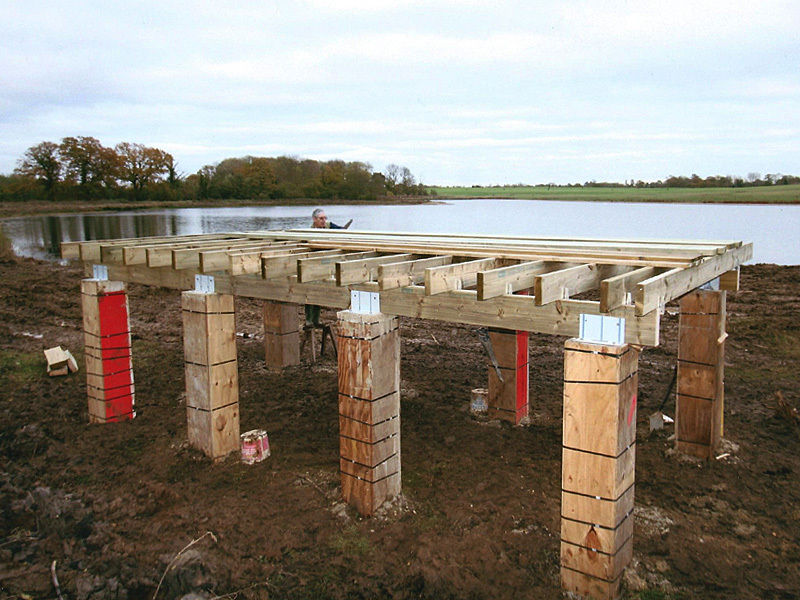 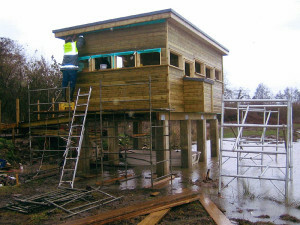 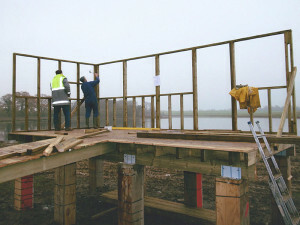 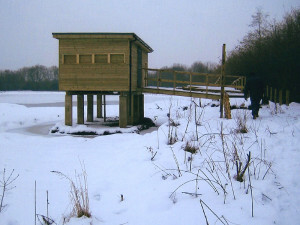 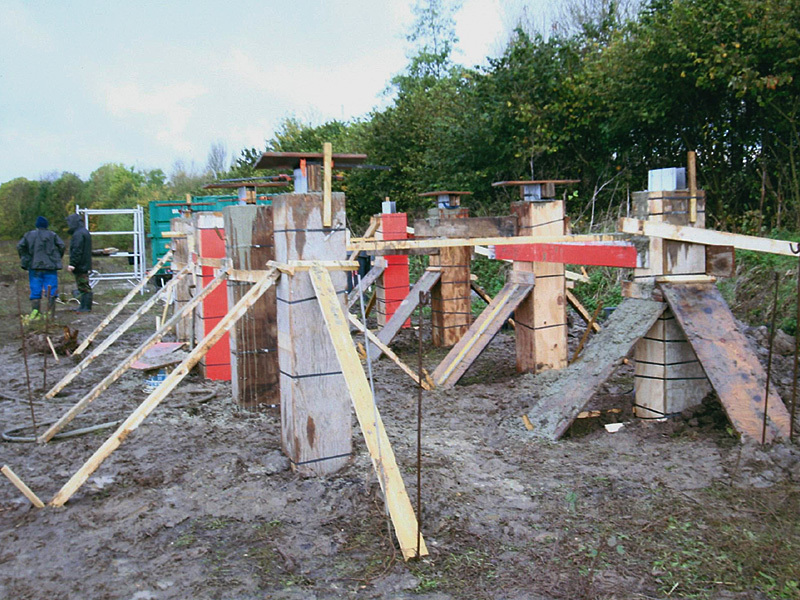 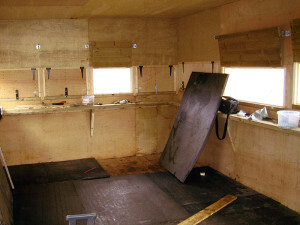 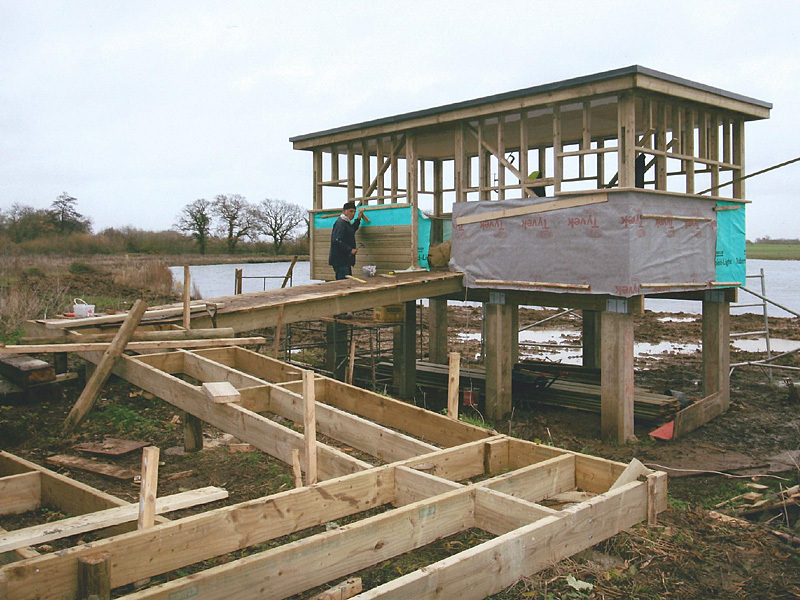 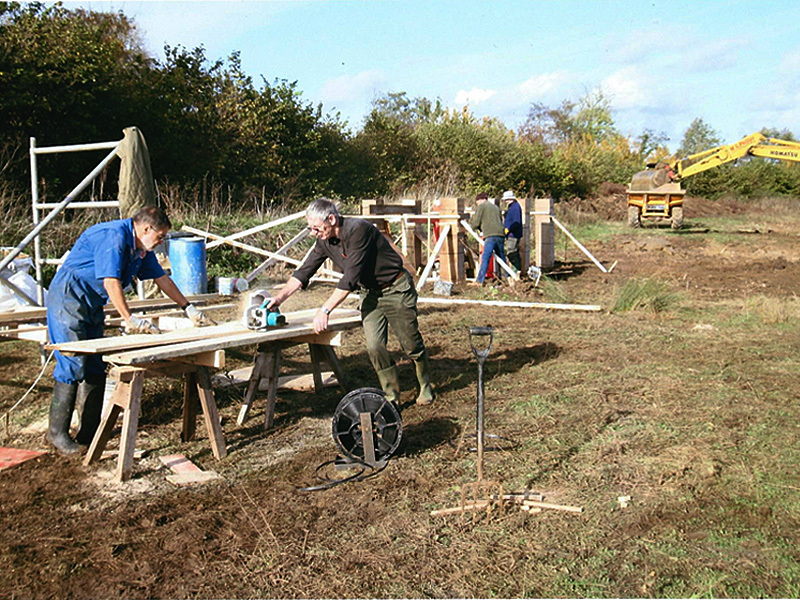 Whilst this is nothing like ‘latest news’ it is certainly ‘news worthy’, as Ron Bryant has made available to FOLL his photos showing the construction of the hide at Lea Farm GP. 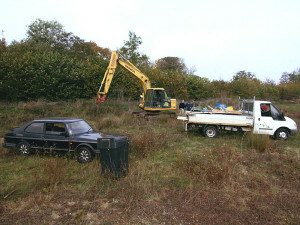 As you can see from these photos, everything started smoothly enough when work began in September 2009. 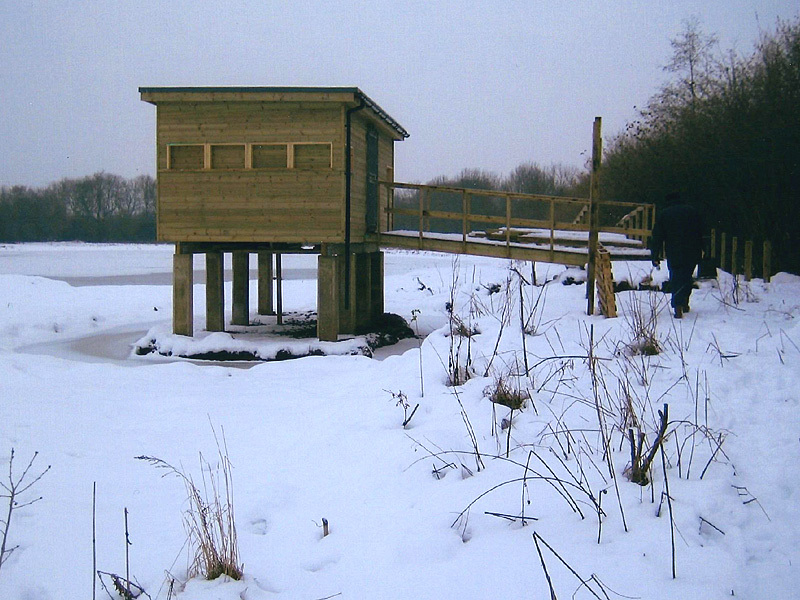 However, no one had predicted that the following winter would be extremely cold…. 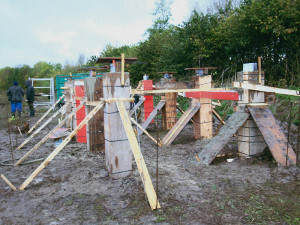 and extremely wet! 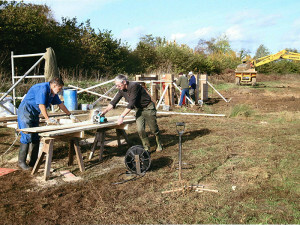 Waterproof clothes, welly boots, thermals and even thigh length waders were needed to keep things moving forward. 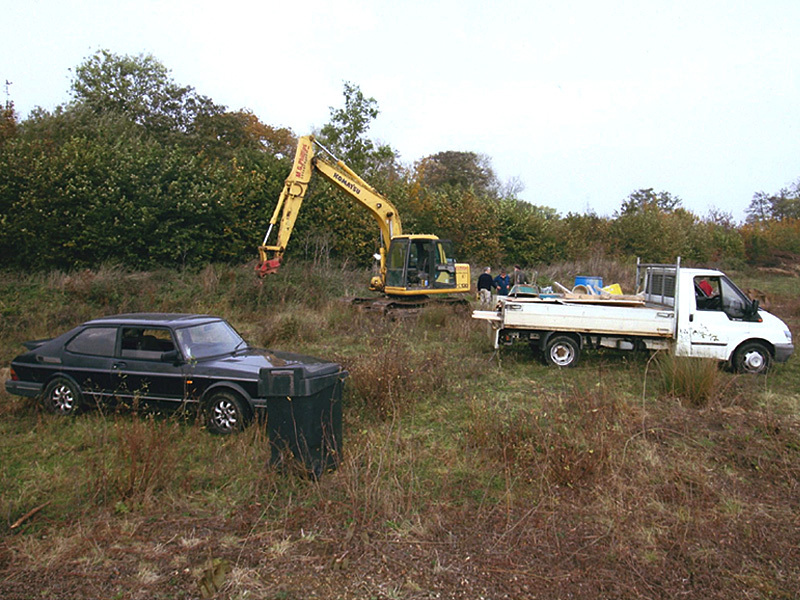 The boat seen in one of the shots is not a prop – this became the only way to access the site at one point. 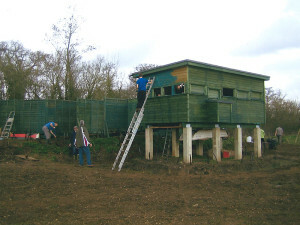 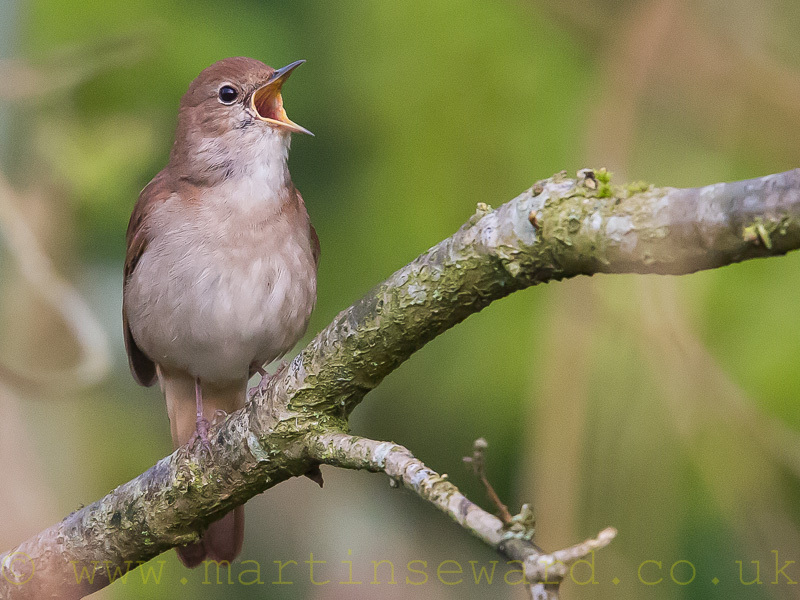 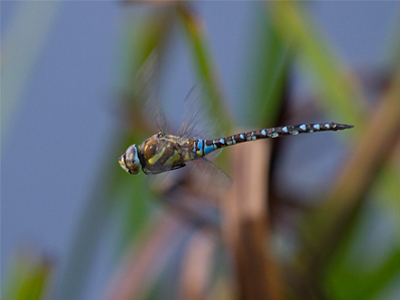 Anyone who has had the pleasure of visiting the Ron Bryant hide would surely agree that FOLL now have the best hide in Berkshire, if not the Home Counties, as a result of this massive effort from Ron and his team of helpers.